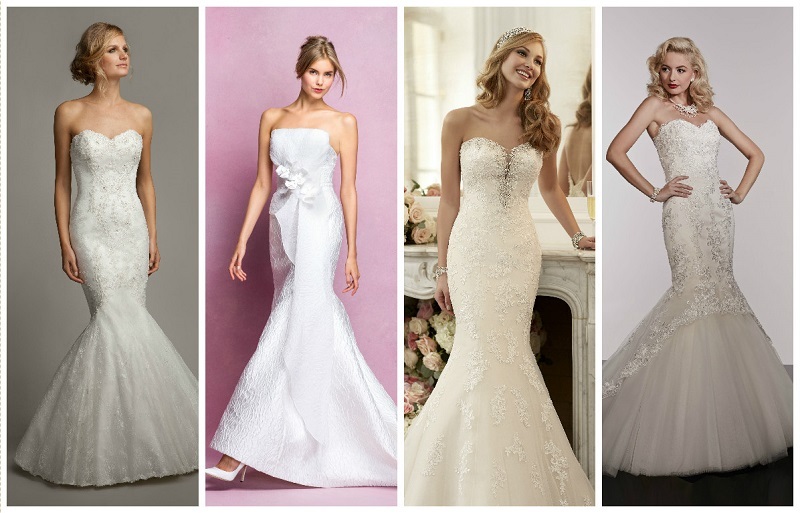 The A-line wedding dress is a popular choice among brides because of its ability to compliment almost all body shapes, as it balances out the top and bottom halves. 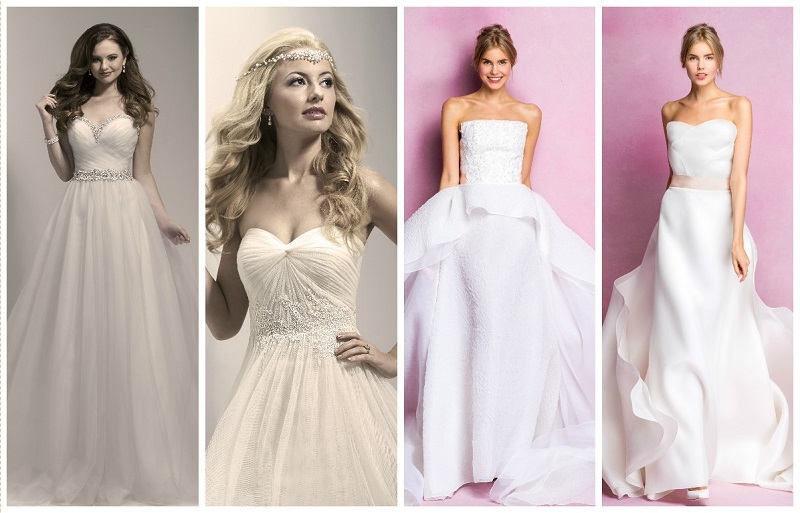 Starting from a fitted bodice, an A-line wedding dress skirt flares out from below the waist, brushes over the hips and extends out to the hem, forming a capital letter A shape. 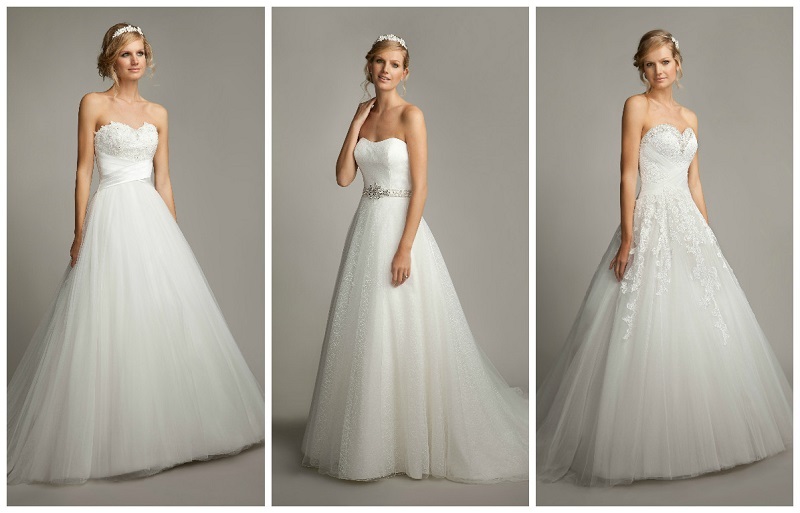 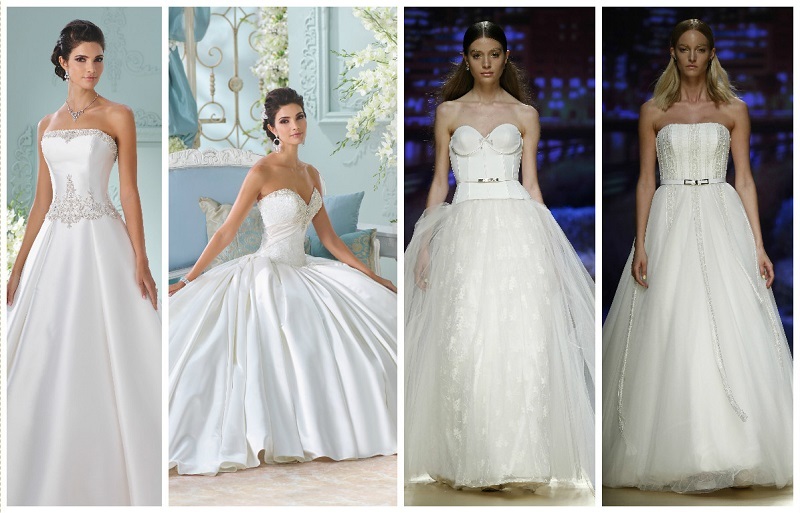 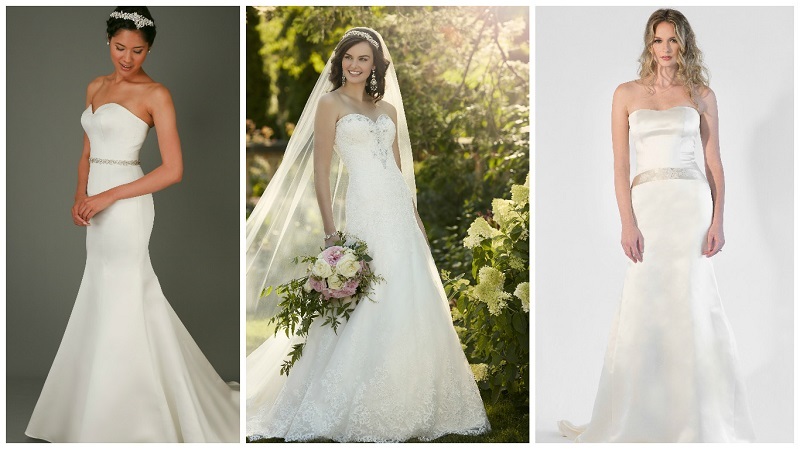 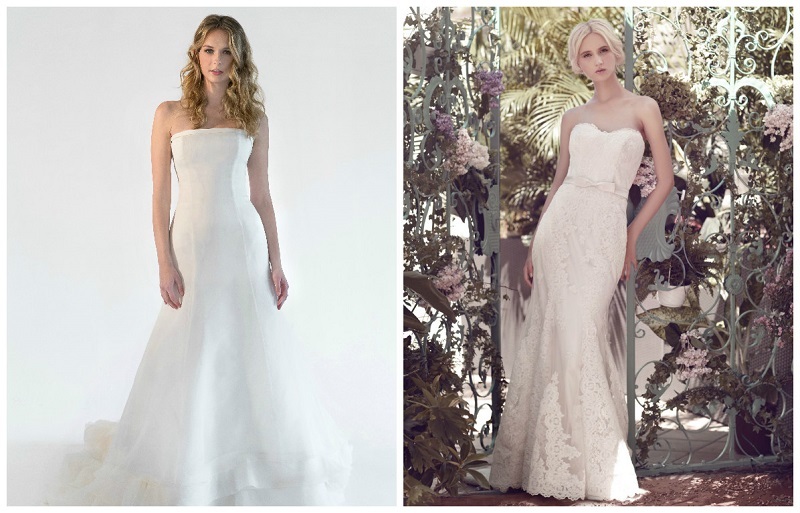 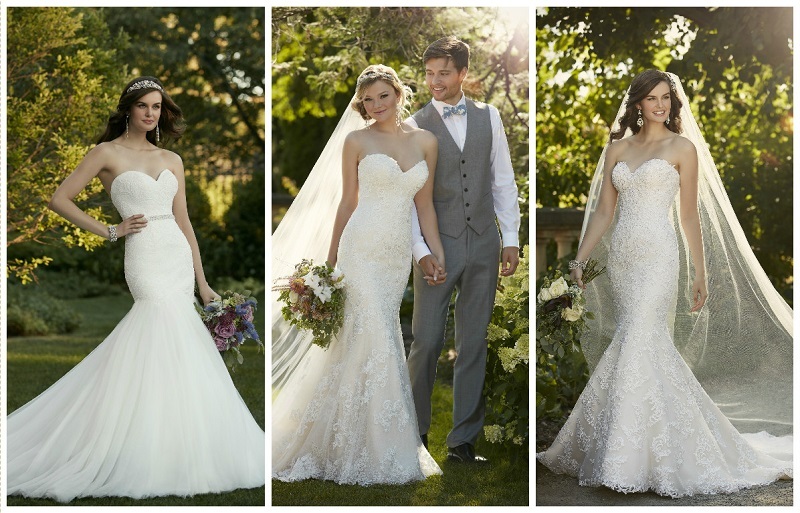 Drop waisted wedding dresses are another fab way to wear strapless. 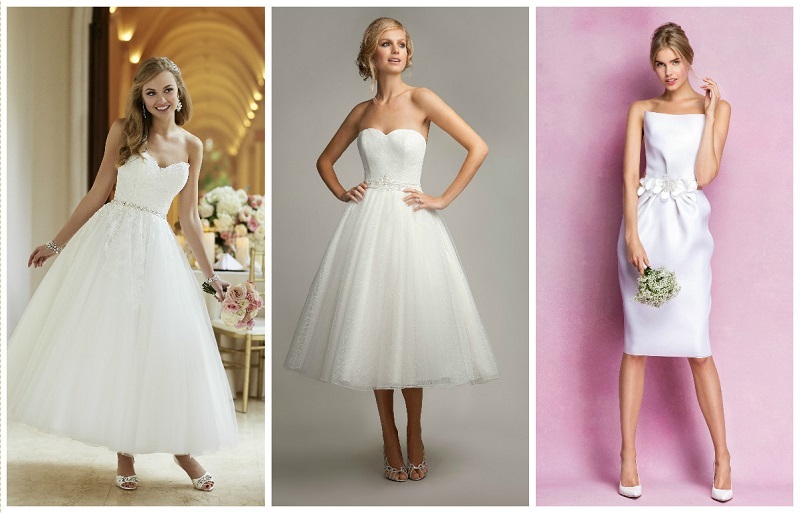 Choose between fit and flare styles that that hug the body and flare off around or just under the hip area, trumpet styles that kick out mid-thigh, and classic fishtail or mermaid silhouettes that are fitted to the knee then flare off dramatically towards the hem. 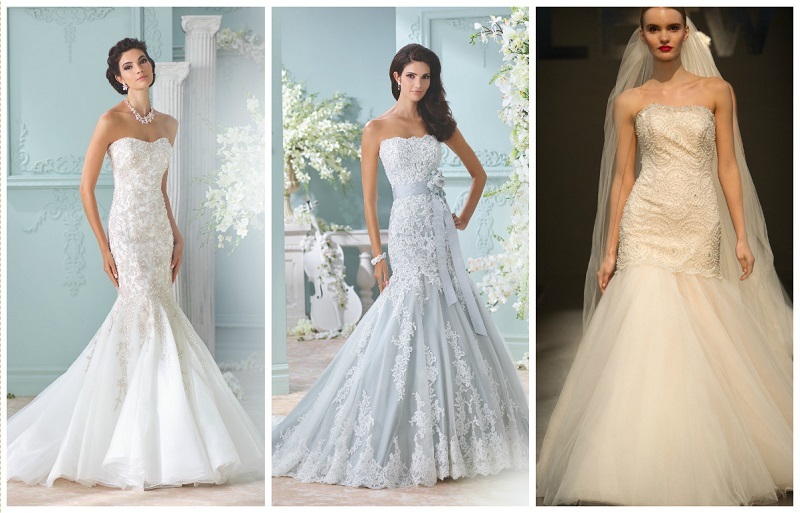 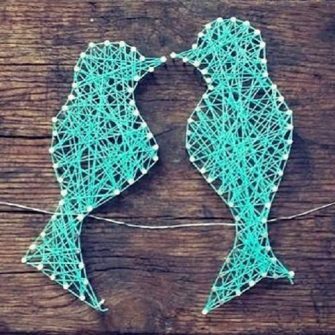 The mermaid is the most body hugging of the three types and considered the sexiest. 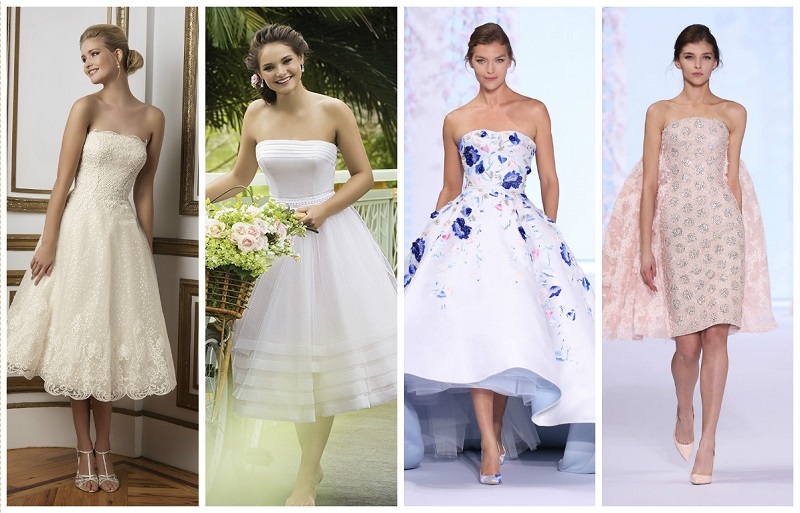 Always popular during summer months, tea-length, asymmetrical and knee-length styles, are great short wedding dress options for ladies looking for something lighter for a summer do. 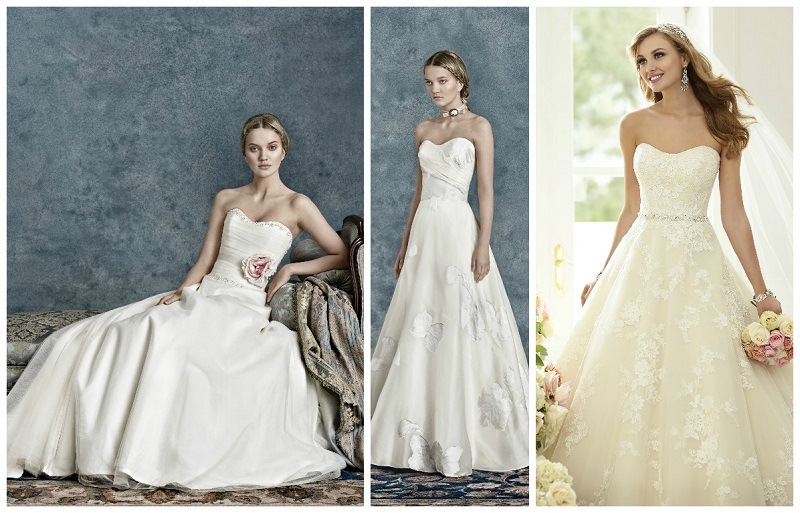 The Angel Sanchez dress is perfect for a chic city wedding, whereas either of the Justin Alexander gowns would be ideal for a country or garden party nuptials.